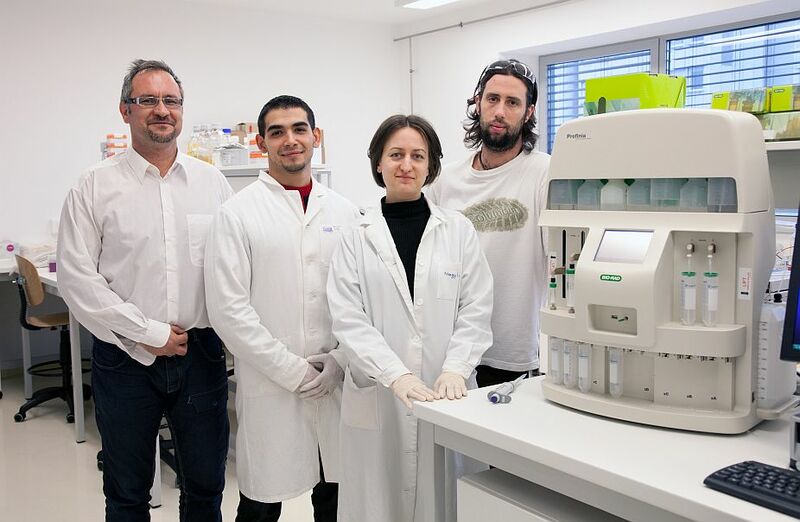 Head of Protein Expression and Cell Engineering Laboratory (PROXENCELL) at the Center for Clinical Genomics and Personalised Medicine, University of Debrecen, in Hungary. Also, he is Coordinator and Execvutive Leader for several EU funded R&D projects, and a number of development projects for local Big Pharma companies targeting bioassay cell line development and biopharmaceuticals production, via UD-GenoMed MEDICAL GENOMIC TECHNOLOGIES, a university spin-off company. He is chief executive officer for INDEVION Biotech, a privately owned consulting and outsourcing company. As a molecular biotechnology development scientist, he also works on proprietary technologies and biotech products and services in the field of protein expression, monoclonal antibodies, recombinant proteins, cell engineering, functional genomics and epigenetics. Zsolt Keresztessy graduated as a biologist (BSc) and biotechnologist (MSc) from Lajos Kossuth University, Debrecen, Hungary (1992) and obtained his PhD in Cell and Molecular Biology (1996) from the University Medical School of Debrecen, in the frame of a collaboration with the Medical School at Newcastle University, UK, where he was supported by Royal Society, British Council, and Soros Foundation fellowships. He was the holder of a NATO/Royal Society postdoctoral fellowship in the UK, and upon returning to Hungary, he held an Associate Professorship position (1998-2004) at the Department of Biochemistry and Molecular Biology, Medical University of Debrecen. He was later a holder of a Senior Lectureship position at ICaMB (Institute for Cell and Molecular Biosciences, University of Newcastle), where he led protein engineering projects. He worked at Cambridge Center for Protein Engineering, MRC Center, Cambridge, UK, in Sir Alan Fersht’s lab in the field of directed molecular evolution. Also, he worked as a development scientist for ORLA Protein Technologies Ltd in the field of nanobiotechnology.